For those who own or are building a home or commercial building in Las Vegas count on the expertise at Dream Construction for professional plumbing remodeling and installation. As your Vegas Valley custom home and remodeling specialists, we know the ins and outs of plumbing and all that is needed to get water flowing right where you need it. Take advantage of our knowledge and experience and get your property plumbed to suit you. If you’ve just purchased or have begun planning your new home or new add-on room, chances are you’ve wished you could move a bathroom, sink, or laundry room at some point. Our team can help you take full advantage of interior spaces. 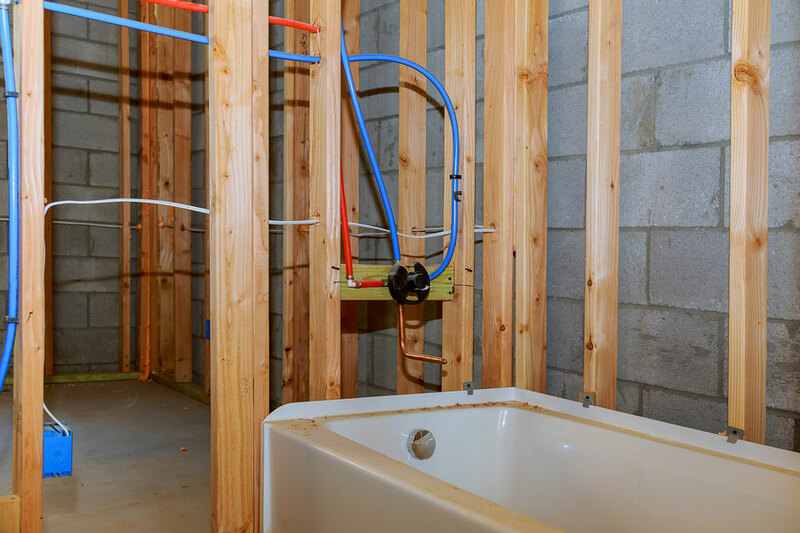 When you hire a licensed plumbing installation contractor, you can feel rest assured that your new plumbing systems are guaranteed to meet and exceed home safety standards and state building regulations. Let the professional home contractors at Dream Construction help you make those big plumbing repairs or upgrades. Makeover your home or business and take it to the next level with better pipes and fixtures installed correctly. Bathe, cook, and clean with ease knowing you have quality materials and installation work that will last because it was done right the first time. The world of plumbing is a technical trade that takes seasons to master. Poorly installed systems can cost a lot of money down the line in repairs and loss if a flood occurs or pipe should leak, burst, or clog. Avoid the common problems associated with installing pipes and fixtures yourself by hiring a licensed plumbing contractor. Contact us at Dream Construction today for professional plumbing remodeling and installation.